HOT sun on the back of the legs. Dust inside socks. Warm breeze drifting from the Irish Sea and stirring dry grasses. The magnificence of Pillar rising from the green of Mosedale into a flawless sky. Days like this were made for climbing mountains . . . 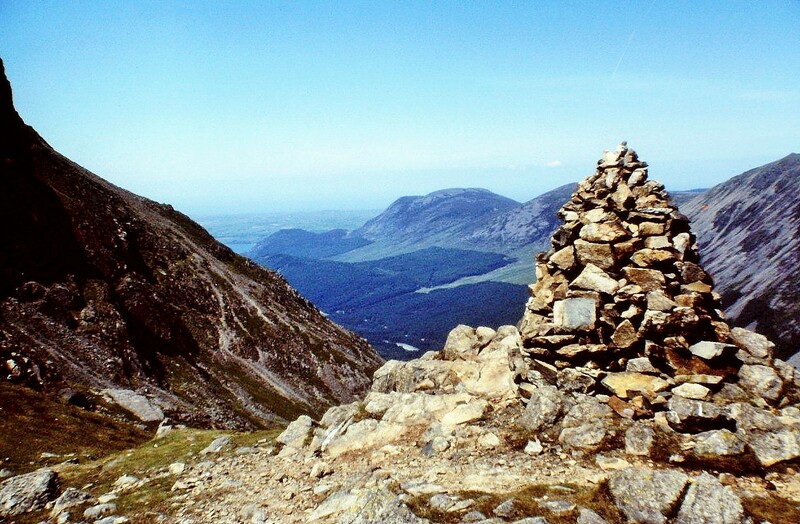 Pillar is the eighth-highest mountain in the English Lake District and one of the most rewarding to climb. 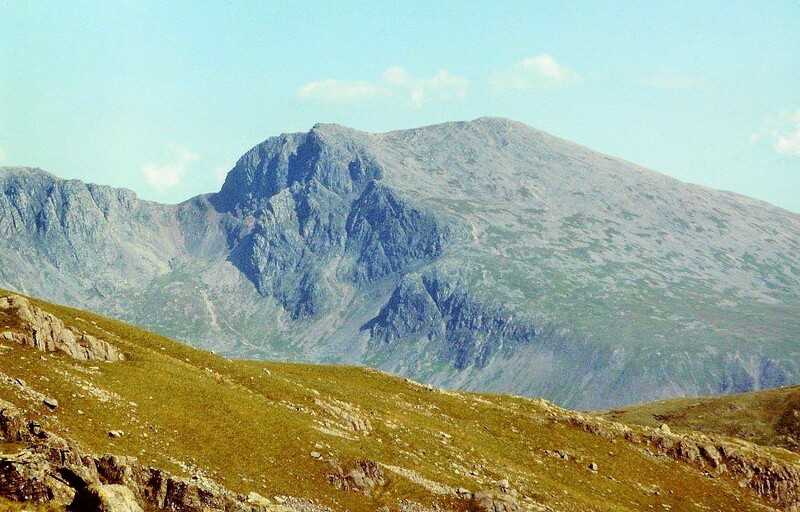 At 892m (2,927ft) it forms a wall of volcanic rock separating the head of Mosedale – an extension of Wasdale – from the southern flank of Ennerdale. The most invigorating route to the summit zigzags up the side of its most famous feature, the vast buttress which gives its name to the mountain – the Pillar Rock. And that’s the route I’m taking today. I once broke my arm on Pillar. Stupid thing, really. I was running down a scree chute from Wind Gap into Mosedale and couldn’t stop. Hit a boulder, cart-wheeled over it, and landed on my arm in a stream. Luckily, I was wearing a Barrow AFC scarf and my mates rigged it into a sling – after they’d stopped laughing. Bloody hurt, mind. And the scarf was ruined. This is three years later and I’ve learnt my lesson. No charging down scree chutes today. Instead, I face a steady and sweaty plod up a winding path to the crown of Black Sail Pass, then an airy tramp across Looking Stead ridge to a junction where the narrow track to Pillar Rock – the High Level Route – veers off the main path to the summit. It’s hot work. Don’t need a scarf in this heat. If anyone’s interested, John Travolta and Olivia Newton-John are at Number One with You’re the One that I Want. Can’t stand it myself, but Olivia’s rather cute. Boney M’s at Number Two with Rivers of Babylon/Brown Girl in the Ring. At Number Three it’s Father Abraham and the Smurfs with the Smurf Song. It’s a relief to get away from all this tripe. I think I’d break my other arm and spend another wasted evening in North Lonsdale Hospital rather than switch on the radio and listen to that lot. This is my first ascent of Pillar by the High Level Route. The route traverses Green Cove and Hind Cove to Robinson’s Cairn, and then crosses Pillar Cove to ascend the curiously-named Shamrock Traverse to the top of Pillar Rock. It’s a great path with spectacular views from rocky ledges down into the valley. I buried him, poor Youth, and there he lies! The moral is: don’t fall asleep on Pillar Rock, or fall you might. Instead, gaze along the deep defile of Ennerdale towards the coast, and across the crags to bare northern fells, and let your soul drift on uplifting breezes. Because this is a place to sit and reflect. The summit of Pillar is but a short, gravelly step above the Rock. From the summit I drop down through broken stones and shingle to Wind Gap – which, as the name suggests, is a draughty defile between crags. The next summit is Scoat Fell (802m, 2,631ft), a pleasant peak which has the added attraction of a crystal-clear tarn on its southern flank. It’s a hot day – a baking hot day – so off come the dusty old clothes and in I go. Scoat Tarn is a perfect place for a dip. From here I wander refreshed to Door Head, where a dilemma awaits. 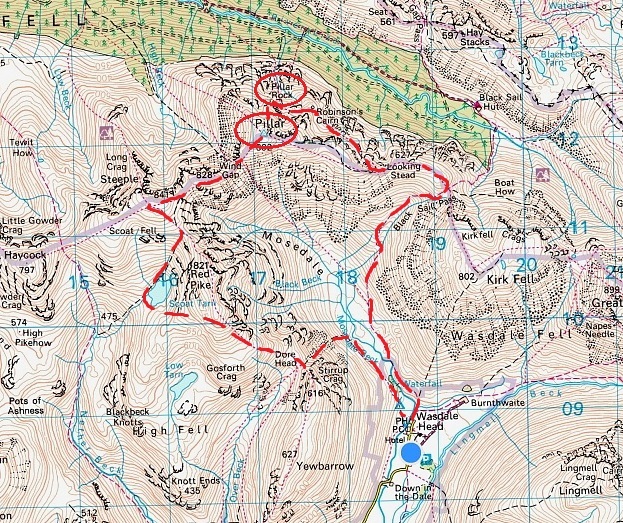 Do I continue my walk over Yewbarrow and face a weary slog along hot roads back to my tent in the paddock at Wasdale Head? 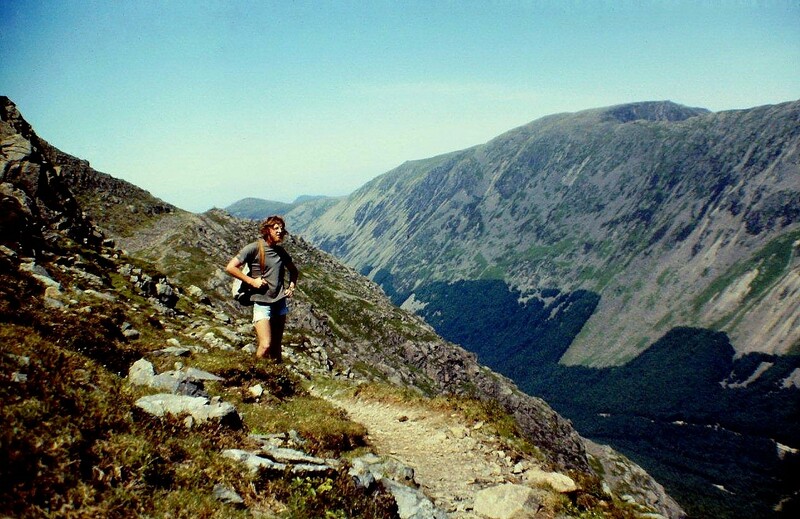 Or do I risk the precipitous Doorhead Screes and the prospect of another broken arm – but hopefully a quick return and an early pint in the Wasdale Head Inn? First, let’s take some pictures. Finally, it’s decision time. 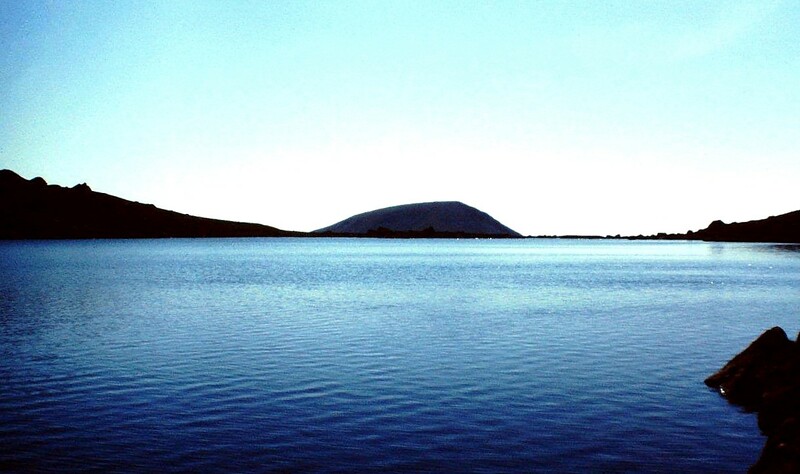 Down the screes I go – but this time at a slower pace and without the cartwheels. It’s amazing what a bloke will do for a cool beer on a hot day. HERE’S a satisfactory ending. Barrow AFC beat Lowestoft 3-2 last weekend (April 25, 2015) and were promoted to the Conference Premier. Where’s that scarf? This entry was posted in Camping, Climbing, Footpaths, Hiking, Mountains, Music, Poetry, Tarns, Walking, Weather, William Wordsworth and tagged Cumbria, Lake District, outdoors, The Lakes, WPLongform. Bookmark the permalink. Great read Alen & now you’re quoting poetry! It’s that point in your life! A time for reflection over a long beer. Cheers! I suppose it comes to all of us at some point, Ash. Comfy slippers, pipe, poetry . . . Pipe & poetry….ummh & a pint, now there’s an idea! Forget the comfy slippers though! 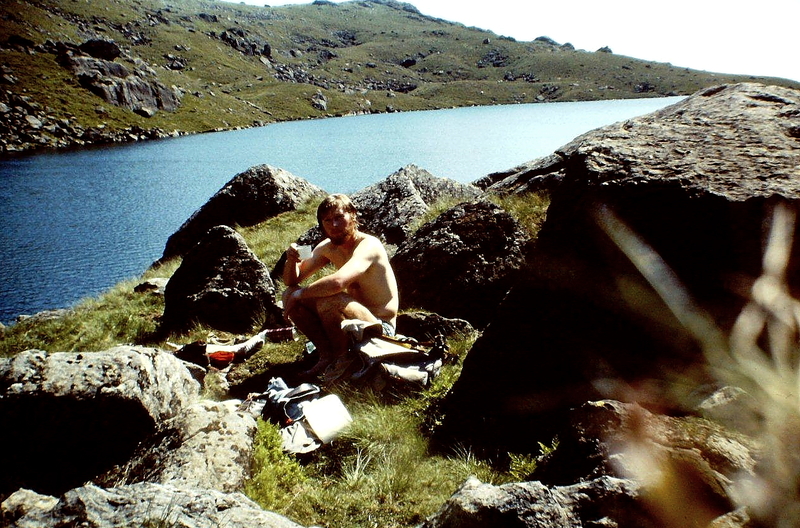 You can not be too careful when you climb those mountains or dive into ice cold mountain lakes. Especially when you are alone though: ”All good poetry is the spontaneous overflow of powerful feelings: it takes its origin from emotion recollected in tranquillity.”* …and that’s what walking alone is able to do for your soul. I like this: I WANDERED LONELY AS A CLOUD by William Wordsworth. The joy that comes from walking in nature. Hej Hanna. I would say, based on my extensive knowledge of English poets and their works (winky eye thing), that I Wandered Lonely as a Cloud is probably William Wordsworth’s most appreciated poem, and influenced by a visit to Ullswater where he spotted the immortal daffodils. I rather like it myself. Yes, so much for flying lessons. The other side of the coin is that if my friends hadn’t been there, I might not have been showing off in the first place and so not come to any harm. But they patched me up and drove me home (in my car – and the radiator boiled over), so all ended well. A tragic story indeed about the young musician. One can never be too careful. 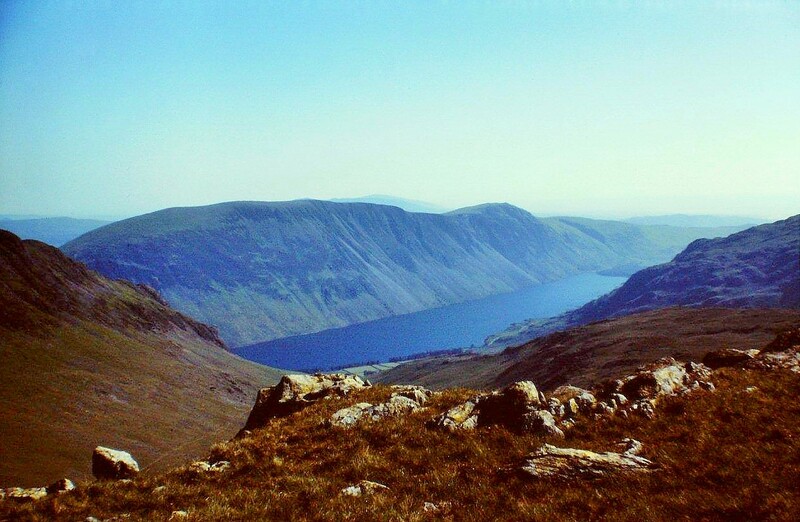 Is there a better horseshoe walk in the Lake District than the Mosedale Round? Kirk Fell, Pillar, Steeple, Scoat Fell, Red Pike and Yewbarrow. Has to be on every walker’s bucket list. Hi Chris. Big day that, the Mosedale Round. Kirk Fell’s a killer to climb from the front, and just as hard coming down. Hard on the knees, anyway. I’ve found that as I mature I’m becoming less and less tolerant of heights, in particular those in exposed situations, to the point I have been known to get extremely anxious, bordering on panicky. However, I don’t recall there being anything dodgy about the Shamrock Traverse, and I’d have no worries about doing it again. From what I recall, it’s just a good path up some steepish ground. I’d forgotten about the Arthur Mullard and Hylda Baker version of You’re the One that I Want. That was much better than the original. I thought Brown Girl in the Ring was an okay listen – but watching it was pretty hilarious – what a funny-looking guy! Hi Carol. I’ve had issues with Brown Girl in the Ring since watching that film, Touching the Void. Doorhead Screes IS ‘orrid. Looking at that picture I’m surprised I actually did it. I recall it was very steep and dusty. I don’t recall anything about the other chute, at Wind Gap, except the last bit where I literally ran out of scree and into boulders. None of the others (there were six of us) had trouble, so I presume it was okay. I’ve walked the High Level Route twice and thoroughly enjoyed it. I don’t recall any dodgy or exposed bits, just a good path through impressive scenery. You need a good day, though, for the views. I haven’t seen Touching the Void yet – I’d like to though. Isn’t the Shamrock Traverse a bit hairy and airy? I just remember it as a good walk. I don’t like hairy and airy these days. Mind, I was younger back then. I saw Touching the Void at the Tyneside Cinema when it came out. Brilliant film. If you get the chance, Carol, you must watch it. You’ll never climb in the Andes again. Ha ha. You’ve been in far scarier places than I have, Carol. Oh yes, and I meant to say – if you walk Pillar via the ridge-line routes, I think it’s a total waste as you don’t get to see that spectacular North Face! I always think the North Face of Pillar is the most spectacular scene in the Lakes! The North Face and Pillar Rock are spectacular when viewed from Ennerdale. 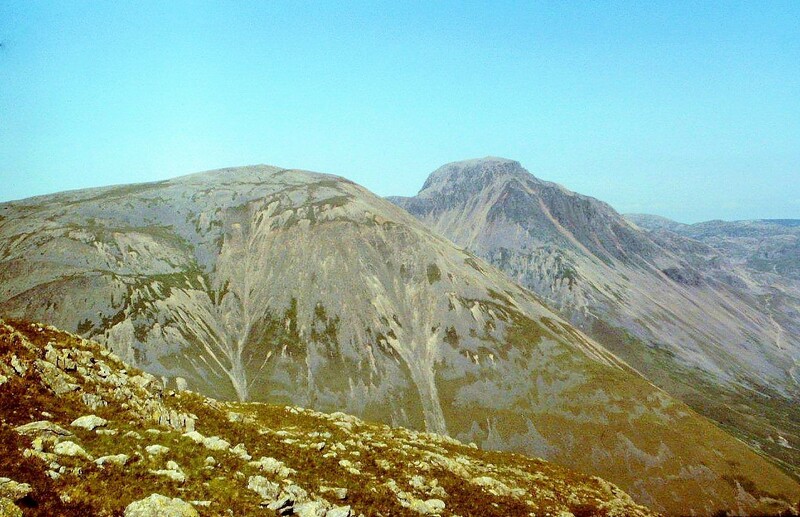 I did a circuit of the Ennerdale fells one hot day about ten years ago. Unfortunately, it was during my camera-less period. That was a cracking walk and the views of Pillar were superb. I remember Third Division Barrow visiting the Victoria Pleasure Grounds to play Goole Town of the Northern Premier League in the F.A. Cup in 1968. It was a big deal for Goole with almost every man & boy from the town going to the game. Barrow won 3 – 1. Were you there? Hi Jonjo. I started going to matches with my mates at about that time but only to home games. 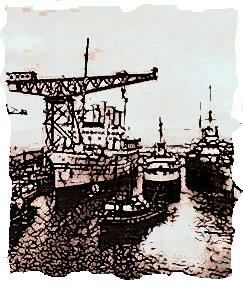 A trip to Goole would have been the equivalent of going off on an exotic adventure holiday. Barrow got knocked out by Leicester City at Holker Street in 1968, and I saw that game with my granddad. That just about coincided with the start of their long and steady decline. Good to see them winning again. Hi Jo. Yes, I went down there. I wouldn’t do it these days because I don’t think my knees would stand it. There is also a sound environmental argument against scree-jumping now because it moves all the stones down the mountain. Mind, I’m old enough to remember it being shown as an outdoor activity on Blue Peter! I didn’t know it was not PC any more! Not that I would try it. But aren’t the stones trying to get down the mountain anyway? Certain screes in the Lakes have become severely eroded, stripped of their stones by countless boots. 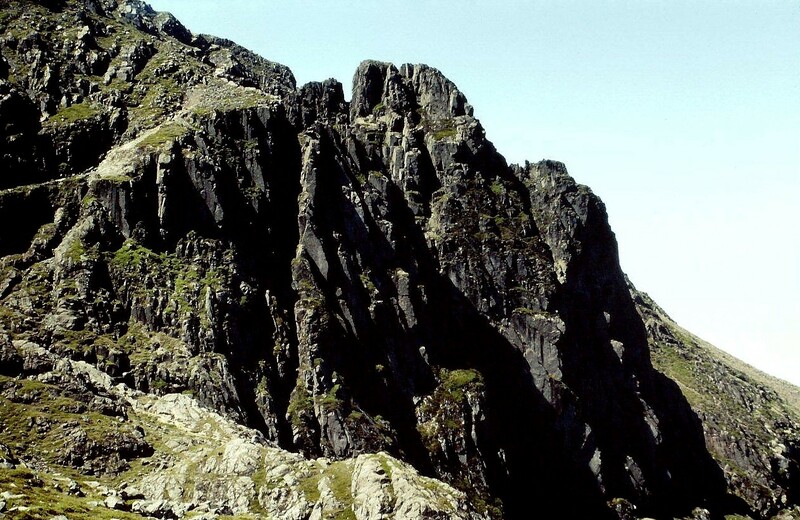 The one that starts near the top of Pike o’ Stickle, in the Langdales, is very bare at the top. I don’t know whether anything official has ever been implemented but concerns have been raised several times concerning erosion. According to champion fell-runner Joss Naylor (see link below), Doorhead Screes is now “set like concrete” because of passing boots – my own included, it seems. It actually sounds terrifying. But I can see now – I had no idea that they were getting so much wear from runners and climbers. I knew about the wear on the paths, especially places like Snowdon, but this is in a different league! I walked (it’s a walk) the Shamrock Traverse not so long ago, it’s very fine and easy too, although you probably need some degree of confidence with exposure. But: It doesn’t take you to the top of Pillar Rock, you’d have to climb over Pisgah and up out of Pisgah Notch for that – which has always been way out of my league. Lovely words and photos Alen, as ever! Hi Mark. Thanks for that. Yes, the traverse takes you to the edge of the notch (seen clearly in the picture), beyond which is the actual top of the rock a few feet away. The rock itself is out of my league, too. A very timely post Alen as I was up on Pillar last week. Usually (I’m ashamed to say) Pilar was just a mountain that needed crossing on the way to somewhere else but I was staying at Black Sail hut and given that a load of snow had fallen overnight the shortish climb was the sole object of the day and I finally appreciated why it’s a lot of peoples favourite Lakeland fell and after a wonderful climb in the snow I now think that it’s possibly one of mine as well. Hi Karl. Pillar in snow sounds magical, especially from the Black Sail hut side because it’s a much less-frequented route. I camped outside the hut once but I’ve never slept in it. It’s a fantastic area. Glad you didn’t break your arm. Once is enough, I think, for that scree chute. I won’t be doing it again, that’s for sure. 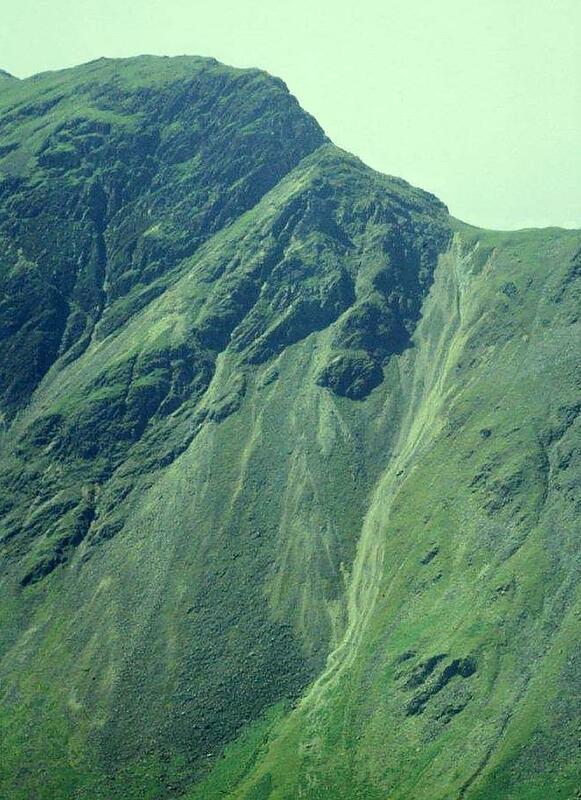 Don’t especially like the look of those screes myself, I have to say…. Your retro posts always make me realise just how old I am though. I was at Uni then, and the Ballroom Dancing society was the biggest club ever (really!) and we were all dancing like John Travolta. Touching the Void is an excellent film. I’ve even shown selected excerpts to my Year 6s at school when we’ve been doing a topic on mountains. Kept them quiet. Hi Chrissie. The Ballroom Dancing Society sounds like really good fun. Looking back, if I’d have done more of that sort of stuff rather than spending weekends alone in the mountains I would have been a much more rounded and sociable person. Yes, Touching the Void made a big impression on me. A marvelous and thought-provoking film. Terrifying screes there, Alen. I wouldn’t even look over the edge. I’m windmilling in my armchair.